587 Bridge Street East, Belleville. Looking for a large family home with some pizazz in a great area? 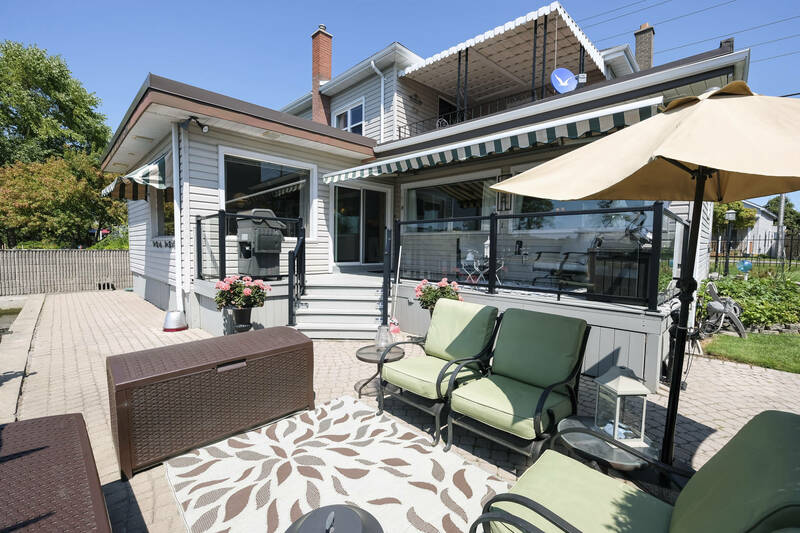 Welcome to 587 Bridge Street East located in Belleville’s highly coveted East End. 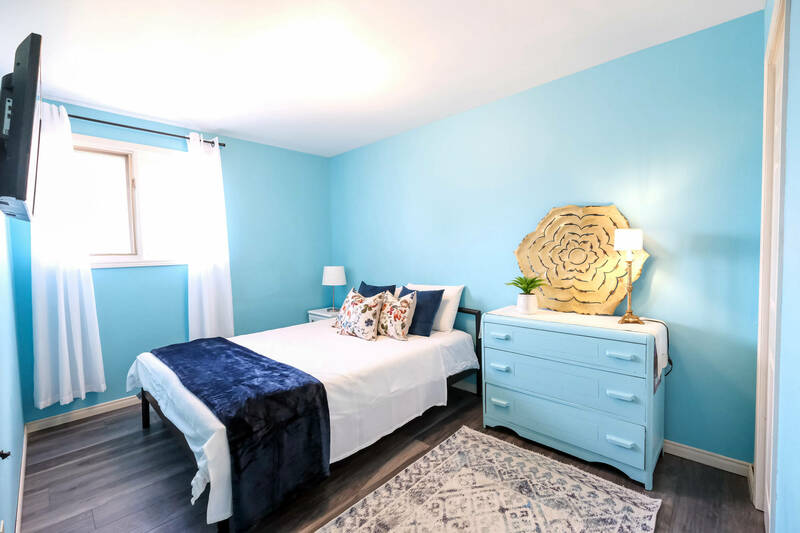 This 2 storey home features Cathedral ceilings, large showcase windows covering the first and second floor, a woodburning fireplace & a Juliet balcony, all architecturally stunning and not common in this era of home. 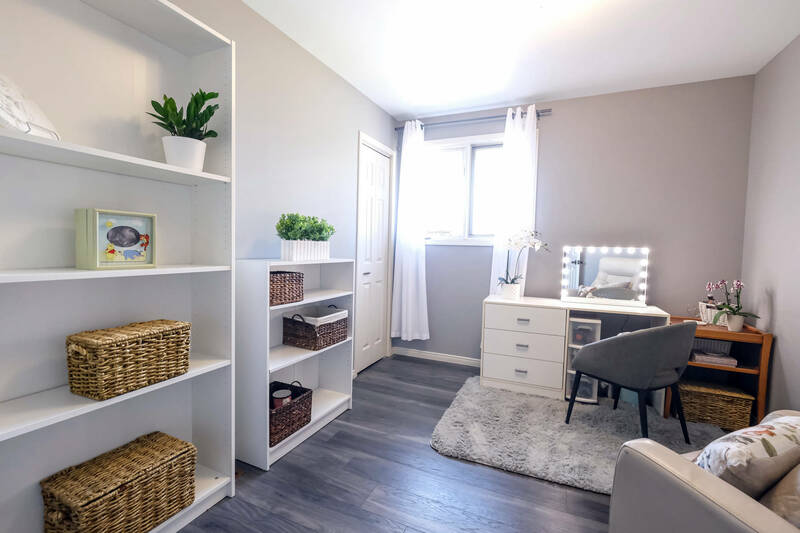 The main floor layout appeals to everyone in the family with an inviting foyer, bright & white eat in kitchen, convenient main floor laundry and powder room. The lovely living room & dining room are complimented by that ever so handy den that could be used for a home office or kids homework nook. Upstairs boasts a spacious master with walk in closet & 4-piece ensuite. 3 further bedrooms, 4-piece bath and loft space that looks over the picturesque windows. 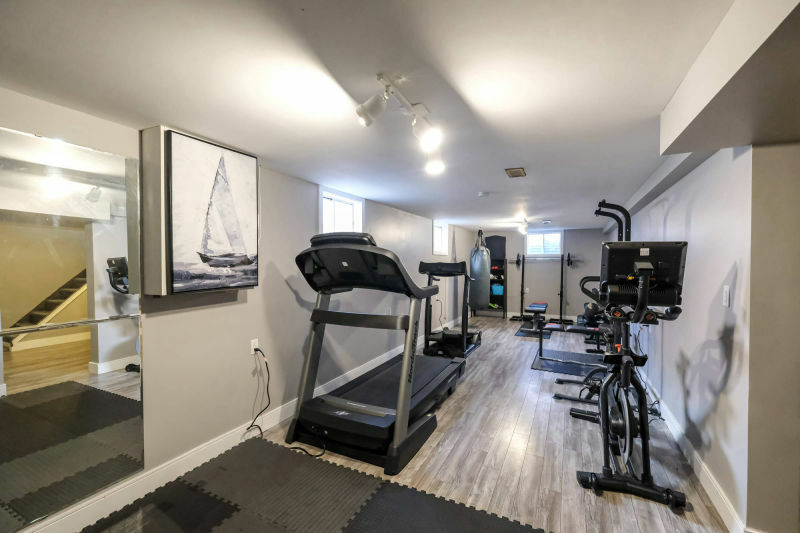 The lower level showcases a good-sized rec room with cozy gas fireplace, 2 further rooms that could be used as bedrooms, playrooms an office or a den and utility room. Outside you will find a newer deck with awning overlooking the fully fenced yard with handy shed. Located close to several parks, good schools & local amenities- this house has it all and then some!